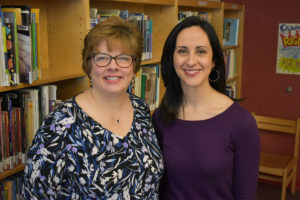 Shelley Fenton and Krista Senatore began their teaching careers as elementary classroom teachers- Shelley in upstate, NY and Krista in the Bronx, NY. They expanded their literacy knowledge as reading teachers and then became literacy coaches in public education. They met in the spring of 2015 through a literacy coach co-op and immediately connected over their professional beliefs. Being the only coaches in their districts, they soon realized the power of collaboration in what is oftentimes a solitary job. Through their relationships and interactions in Professional Learning Networks, they have become more knowledgeable and reflective practitioners. They believe that collaboration has enabled them to become more self-aware and to consider different educational perspectives. Shelley and Krista share ideas and inspire one another to nurture their identities as writers. They co-lead study groups, professional development in Reader’s and Writer’s Workshop, and present together at local, state and national literacy conferences. Shelley is a literacy coach committed to authentic literacy development. 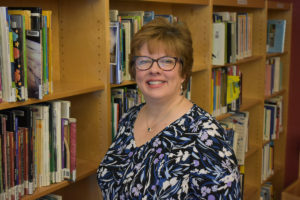 She supports teachers, students and administrators in the South Glens Falls Central School District in upstate New York in an elementary and middle school setting. She is also a faculty member in the Department of Literacy Teaching and Learning at the University at Albany, working with preservice teachers. Her educational certifications are in Literacy, Elementary Education and she holds a Certificate of Advanced Studies in Educational Leadership. She has worked as a teacher for 15+ years in the public school system educating students in first and second grade and also supporting students as an academic intervention service literacy educator. Shelley shares her literacy experience through professional development workshops, regional and state conferences, curriculum writing, demonstrating lessons and collaborating with teachers in the classroom. She expands her own learning through a variety of professional groups, conferences, book studies, and utilizes Twitter and Facebook for professional growth. Shelley believes a classroom that is focused on authentic literacy must be relevant to the lives of its students. As much as choice and the type of materials can help create an authentic literacy environment there also should be purposeful and meaningful experiences that are integrated into a real-life targeted purpose. 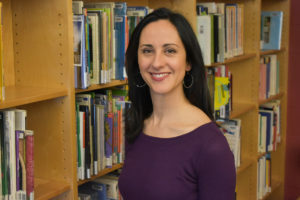 Krista Senatore is a literacy coach in the Schuylerville Central School District in Schuylerville, New York where she collaborates with teachers and serves students in grades K-12. She specializes in balanced literacy, reader’s and writer’s workshop, supporting striving readers and using technology to support reading and writing. Krista’s work includes demonstrating and co-teaching lessons, facilitating professional development workshops and team meetings, planning and writing curriculum and collaborating with school administrators in shaping schoolwide curricular reform. Krista studied at University at Albany, Bank Street College of Education, City College of New York and Skidmore College. She has participated in numerous institutes and workshops at the Teachers College Reading and Writing Project over the past 15 years. During her time as a literacy coach in the Bronx, NY, Krista worked side by side Teacher’s College staff developers. Krista is certified in K-12 Literacy and Elementary Education. She is a Seesaw Ambassador, has earned a certificate in Teacher Leadership and is currently enrolled in the Certificate of Advanced Study at the University at Albany’s Department of Literacy Teaching and Learning. Krista is a certified yoga teacher and enjoys bringing mindfulness to teachers and students to help them bring focus, engagement and joy to their teaching, reading and writing lives. Krista has worked as a fifth grade teacher and a reading specialist for K-8 in both urban and rural settings. She presents at educational conferences most recently including Literacy For All and National Council for the Teachers of English (NCTE). Krista’s mission is to help empower teachers to find their unique teaching voices and thoughtfully serve the children they teach. She most enjoys working side by side teachers individually and with groups so that they can connect, examine best practices and cater their teaching to support the individual children in front of them. Krista believes that together we can make lasting change in children’s lives and help them not only become joyful and confident readers and writers, but also thoughtful and compassionate citizens who will go into the world and make it a better place.